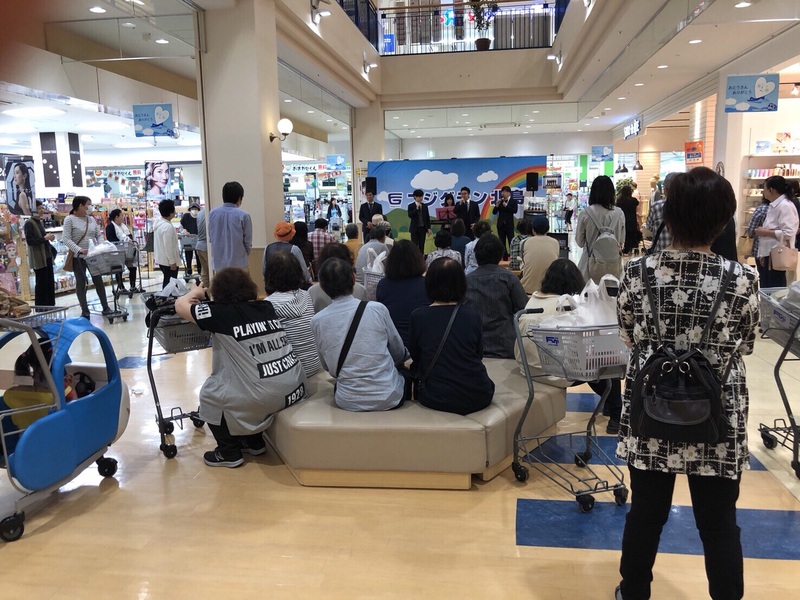 ‘Gifts’ held a concert at a shopping center in Naruto city. That was the first time they have ever seen so many people for their performance. 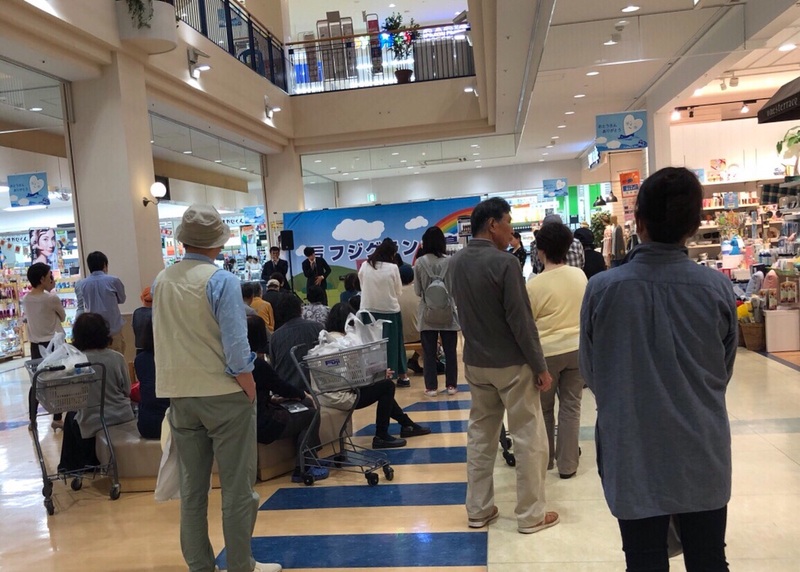 They have especially started singing a song titled “The End of The World”, 70 or 80 people gathered and many people listened to the music also from the second floor. Some came and said to them “Your songs touched my heart.” and others said “I’ll see your blog.” Praise the Lord.